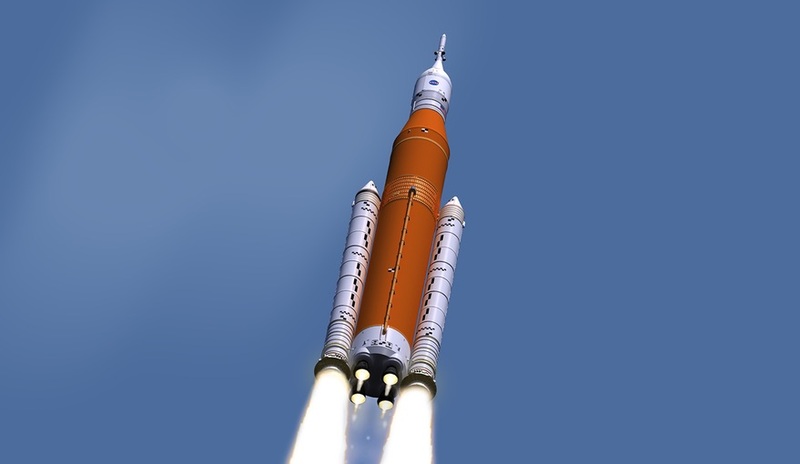 WASHINGTON — A day after announcing that NASA was studying the possibility of shifting an Orion mission from the Space Launch System rocket to commercial vehicles, NASA Administrator Jim Bridenstine said he and the agency still support development of the SLS. 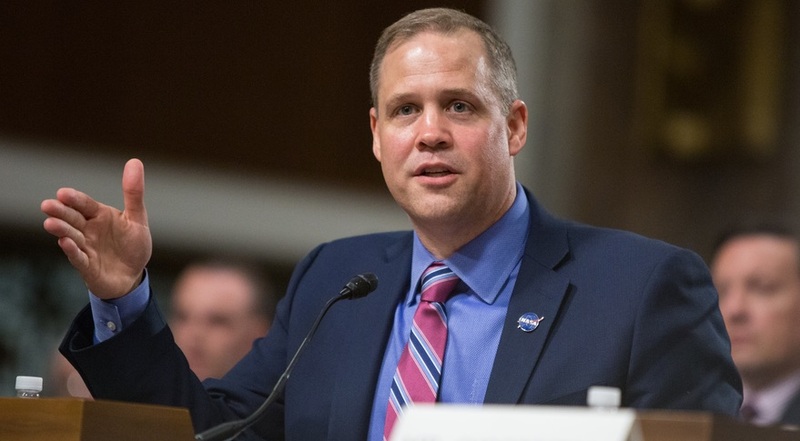 Speaking at a Space Transportation Association luncheon here March 14, Bridenstine said the ongoing study to use commercial launch vehicles rather than the SLS for Exploration Mission (EM) 1 was motivated by a desire to maintain a schedule that called for flying the mission in mid 2020, and that it was a stopgap measure only. Bridenstine told members of the Senate Commerce Committee at a hearing March 13 that the agency was looking at that alternative approach, which would involve using one commercial launch vehicle to launch the Orion and another to launch an upper stage that, once docked to Orion, would propel it to the moon. In the day since that hearing, some have speculated that the proposal could be an attempt to demonstrate that the SLS was no longer necessary, particularly after the administration’s budget request for 2020 deferred work on the more powerful Block 1B version of SLS and moved some payloads, including elements of the lunar Gateway and the Europa Clipper mission, to other vehicles. 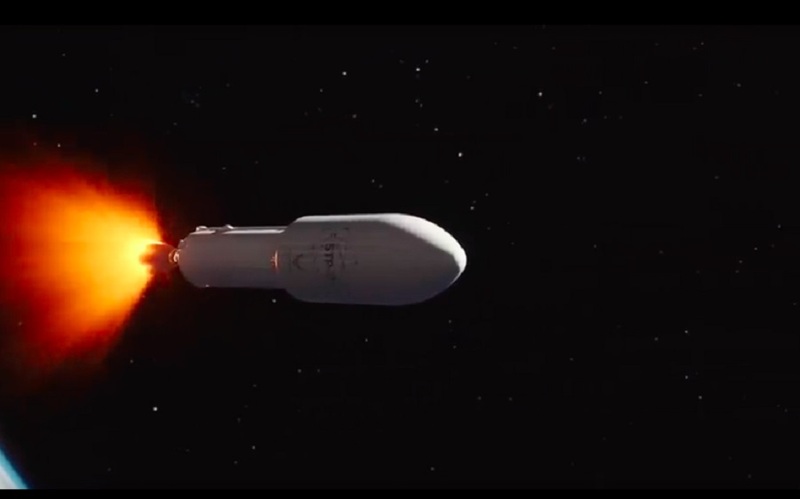 However, Bridenstine said at the luncheon that proposal was intended allow for testing of the Orion spacecraft, including its European-built service module, to proceed despite continued delays in the development of SLS. “We take advantage of all the capabilities that we have as a nation to get the Orion crew capsule and the European service module in orbit around the moon in order to test it,” he said. Bridenstine suggested that this alternative approach for EM-1, an uncrewed test of the Orion spacecraft, would not be sustainable if also used on future crewed missions of the spacecraft. 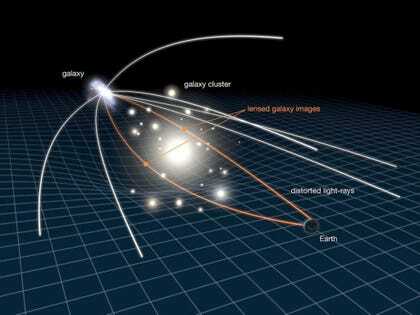 “When you talk about the risk of docking in orbit, and putting humans on vehicles that will be docking in Earth orbit before throwing them to the moon, that’s risk and challenge that ultimately we probably don’t have to take,” he said. At least one of those key members of Congress who fund NASA expressed opposition to the proposal. 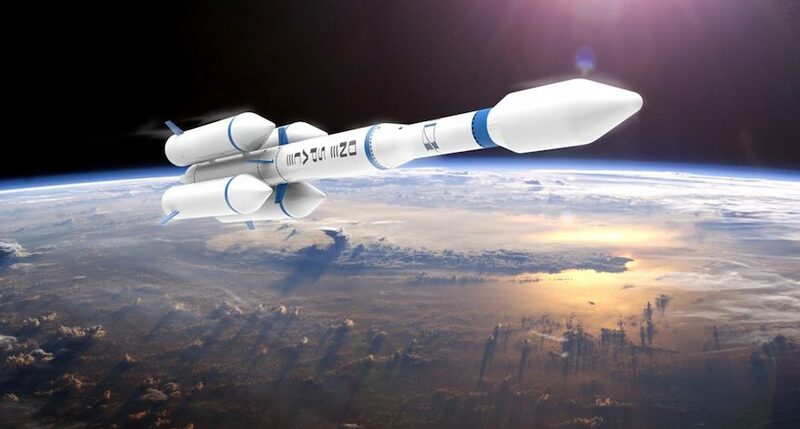 “While I agree that the delay in the SLS launch schedule is unacceptable, I firmly believe that SLS should launch the Orion,” Sen. Richard Shelby (R-Ala.) said in a statement to SpaceNews March 13.